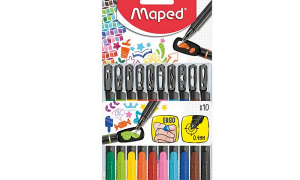 When there are so many different colouring pen sets out there it’s important that the one’s you buy stand out from the crowd and that’s where Cappi colouring pens from Stabilo come in to their own. Possibly one of the most annoying things when using pens is losing the cap, but this fab idea is sure to solve that problem. 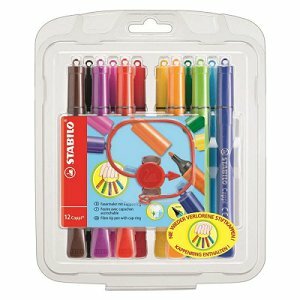 Cappi pens come with a cap ring which you can hook your colouring pens on to, so when you use the pen the lid stays safely on the cap ring! 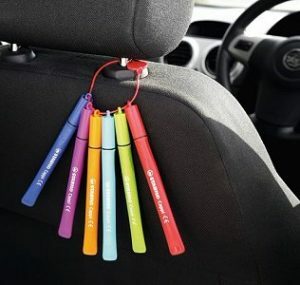 It’s a brilliant and simple solution and a great idea if you are out in the car with children on long journeys as you can hook the pens up to keep them safe. 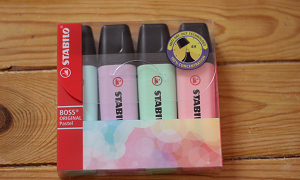 Saying goodbye to pens going dry and fumbling around for lost lids are just two of the reasons we love these pens – they also have an ergonomic grip zone perfect for children’s hands and a tube shape to stop the pen rolling away! 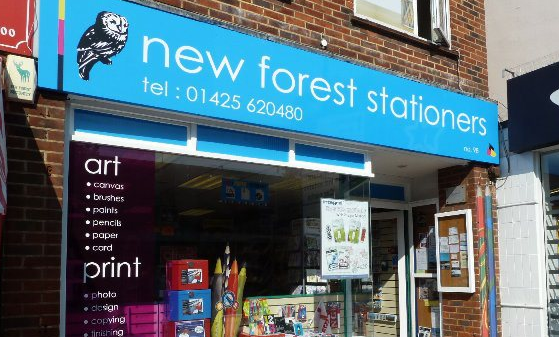 You can pick up your own set of 12 Cappi pens with cap ring from us today, just pop down to New Forest Stationers in New Milton and get yours for just £5.99.